What makes a great wedding photo? There are so many elements that contribute to a making a photo appealing. An interesting background or setting makes a big difference. Carefully chosen details - the wedding dress, the jewelry, the bouquet and boutonniere - add interest. Natural beauty is a bonus. The expertise of of the photographer in terms of technique and composition is also crucial. And good light definitely helps. When all these things come together, a photo can be really good. But the element that transforms a good wedding photo to great? Real emotion! Yes! The photos we strive to capture are always about the moment! And the photos our brides often love the most are the ones that show that real connection between her and her groom. 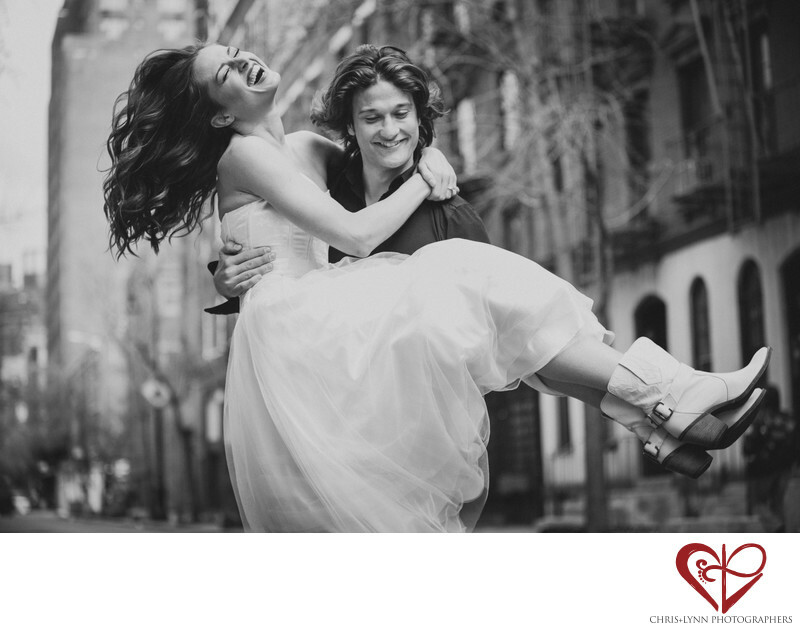 When it comes to the factors that make a great photo, real love trumps all others! When we ask couples what is most important to them about their photography, the answer is often: having natural wedding photos. The challenge is we are all trained to stop what we are doing, adjust our expressions, and look at the photographer whenever we see a camera pointed at us - basically the opposite of natural! We tell all our couples that unless we are giving them some guidance or moving them to a preferable spot, they should basically just ignore us during the wedding day. To have really natural images, instead of focusing on the camera, focus on each other. Make the conscious decision to engage with, savor, and be in the moment! That being said, it can be nerve-wracking having a camera on your every move! We will do all we can to make you feel comfortable with us photographing you. During your portrait time in particular, we can give you some general guidance and prompts to create a fun and positive environment. And rest assured, we will give you a heads up if there your lipstick is smudged, a wardrobe malfunction is imminent, or there is something else unflattering. This NYC couple was all about being silly together. For this photo, we asked him to walk down the street with her, talk to her her about what he thought of her when he met her for the very first time, and then pick her up and give her a spin. I love the resulting expressions of joy on both their faces! As wedding photographers we like to create opportunities for movement and spontaneity during a portrait session in order to create and capture fun moments like this. Location: Manhattan, New York, NY.